While Producer Price Index supported USD, Retail Sales report weakened this currency. On the other hand, Wholesale Price Index in Germany and Consumer Price Index in Spain could not help EUR to grow. 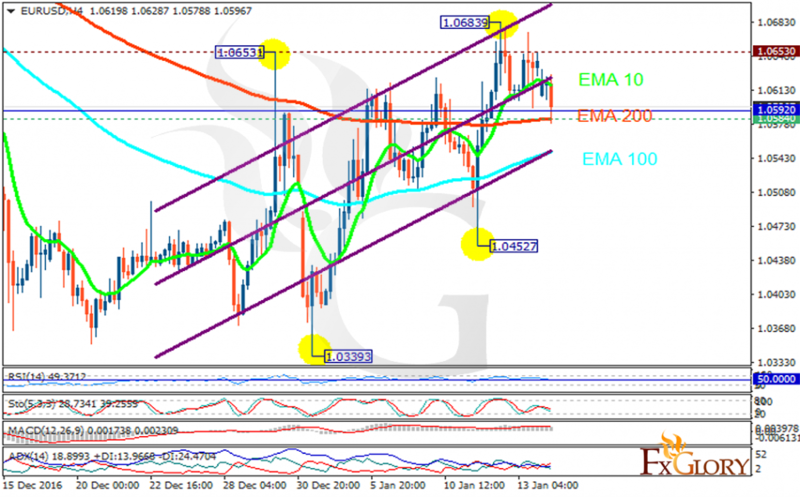 The support rests at 1.05840 with resistance at 1.06530 which the weekly pivot point at 1.05920 is located in between the lines. The EMA of 10 is moving with bearish bias and it is above the EMA of 100 and the EMA of 200. The RSI is falling on the 50 level, the Stochastic is showing downward momentum and the MACD indicator is in positive territory. The ADX is showing a weak sell signal. Short positions are recommended targeting 1.0500.